Shaft Up #1 is here and following along could give you insight into how to get into the Shaft Up #2 coming in a few months. This is an all expenses paid trip to TX, for fitting, golf equipment and more and half of the group that attends has a chance to win another trip later in the year for more golf and goodies in the Shaft Up Year End Finale. Today, THP Live will broadcast in THP Forum and you can follow along with what is going on at UST Mamiya HQ, live as it happens. You will see right when the guys find out what equipment they will be fit into (and keep of course) and catch the UST Mamiya team giving them the rundown on what is going to take place. We will announce the prize(s) on the THP Live broadcast that will kickoff in a few hours and how to enter will be nothing more than posting in the THP Thread and following along with the action as it happens. 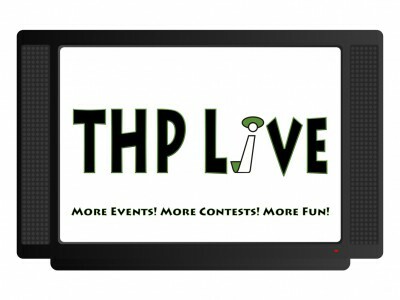 Jump on over to the THP Forum now and see the updates as they happen and have a chance to win an awesome Prize Pack. Want To Be A Tour Player? I know that the shaft is important and I’m looking forward to hear what is happening with Mamiya products. So cool that a full set of recoils was given as the prize. This was such a fantastic event.